Whole Foods is a bit of a trek for me but since I had a meeting in Columbus Circle I stopped by as a special food shopping treat. It is amazing how good the produce is even in the depths of winter. The best surprise were some amazing looking mussels in the seafood department for $3.00/lb. With two lbs in the cart I picked up some lemon, shallot, parsley, and was good to go! The pasta dough recipe I use calls for 2 cups flour, 1tsp salt, 3 eggs, 2 tbsp, and works great. I would have loved to use a semolina based recipe but have been too lazy to restock it recently. If you don’t want to break out the paste roller go for some nice thin pasta like spaghetti or thinner. 2lb Mussels, scrubbed and de-bearded, discard any that do not close when tapped or are cracked. 1. Put large pot on stove over medium heat. Add olive oil and shallots. Sauté shallots until translucent. 2. Add garlic, mussels, lemon, and thyme. Pour in wine, cover and reduce heat to low. Steam for about 10 minute or until the mussels are wide open. Cook pasta while mussels are steaming. 3. 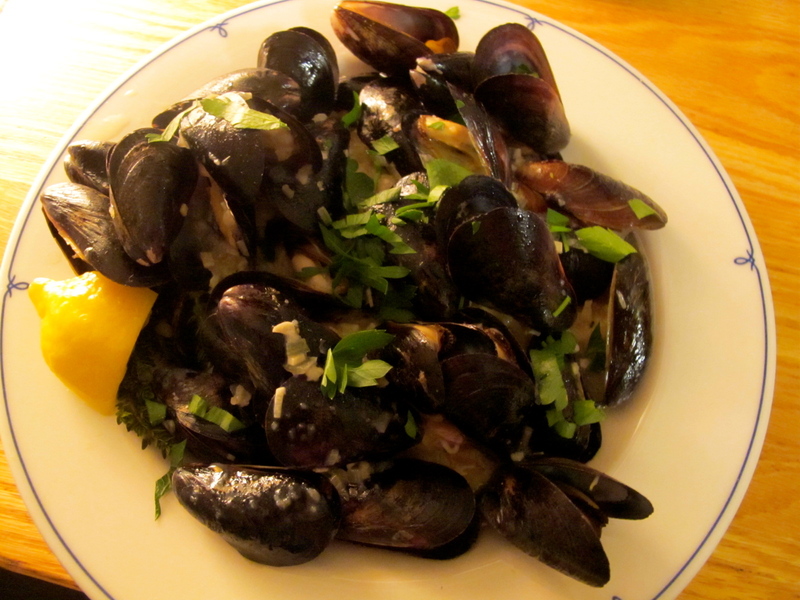 Remove mussels from pot while retaining the juices. Turn heat up to medium and whisk in half of the flour. Whisk vigorously until thickened so that the whisk leaves a trail. If the sauce doesn’t thicken within 3 minutes add flour 1 tsp at a time. 4. Toss pasta with butter, top with mussels, pour sauce over, and sprinkle with parsley. *Serve with a bowl for shells. 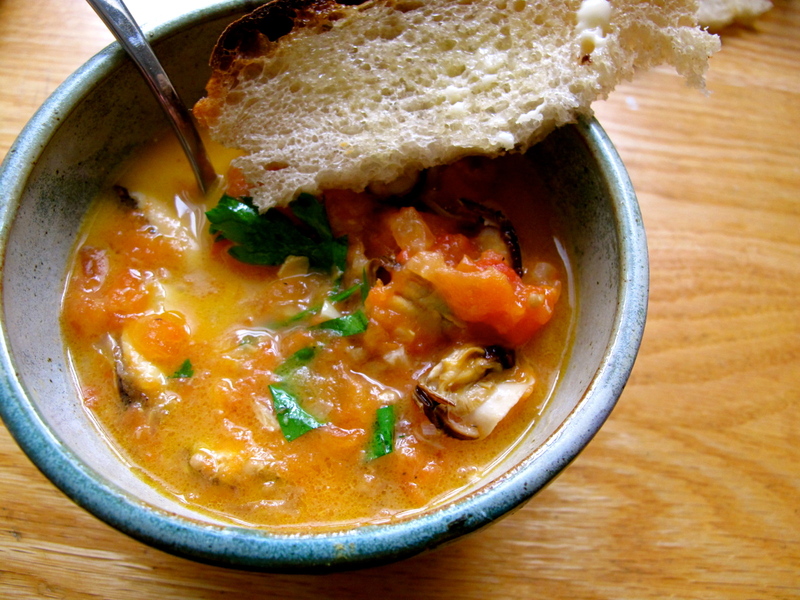 The next day I took the left over mussels out of their shells and mixed them in with some left over tomato soup. It was the perfect lunch served hot with a piece of crusty sourdough bread!